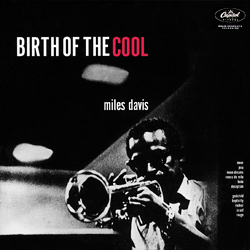 On Saturday, June 30th at 10am we’ll start delving into Miles Davis’ revolutionary “Birth of the Cool”. This influential and enduring work ha s it all: inspired arranging, cool vibe, great playing – a multi-session group effort featuring compositions and arrangements by Gil Evans, Gerry Mulligan, Miles, John Carisi and John Lewis. This nonet project from the late 1940’s and early 50’s is the culmination of hours of hanging out and experimenting, and is a great example of intricate, intimate and soulful small ensemble writing. We will study “Jeru” by Gerry Mulligan using scores and parts. Then after a short break I’ll bring up my good friend and NYC homeboy drummer, composer and band-leader Paul Peress. Paul comes from an exceptionally musical family, his late father Maurice was a well-known conductor, composer, educator, and friend of Duke Ellington. Paul will discuss his own meeting Duke Ellington on several occasions, and his work with his father Ellington’s “Black Brown and Beige” with his father. 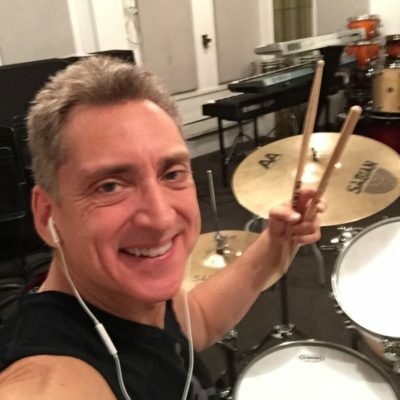 He’ll also touch on work we did together in NY, where I arranged some of Paul’s music, and various music concepts important to him as a drummer/composer. For summer reading, check out how Maurice traces the roots of the intersection of jazz and classical music from the mid 19th century on, and recounts much of his multi-faceted career in his book “Dvorak to Duke Ellington”. Highly recommended. Purchase tickets in advance on Eventbright or at the door. This entry was posted on June 15, 2018 by Ellington Study Group.